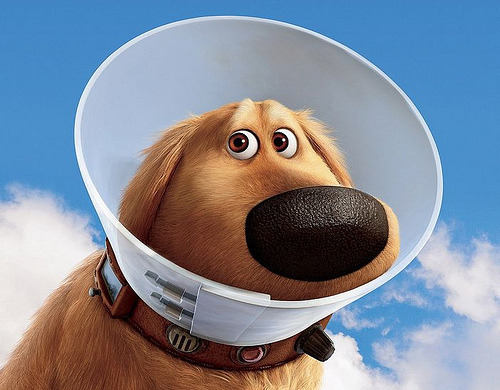 If you have seen the great Disney/Pixar movie Up, then you know all about the “cone of shame”. He had his teeth cleaned and a few pesky eyelashes removed that where growing into his eyes. 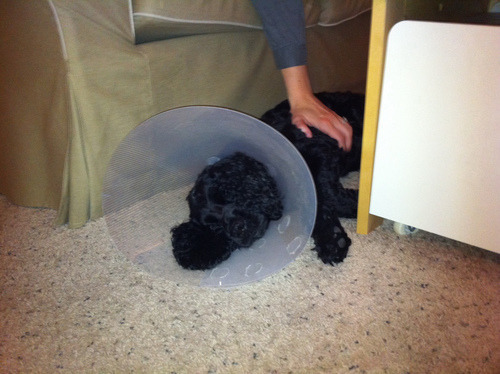 Thus he must wear the cone until it all heals up. Thankfully, he is a very good sport at taking his meds. Nothing like peanut butter and pain killer.